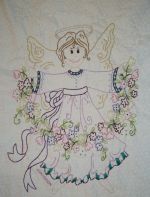 Turnberry Lane "Hand Embroidery Patterns"
Spring has come! 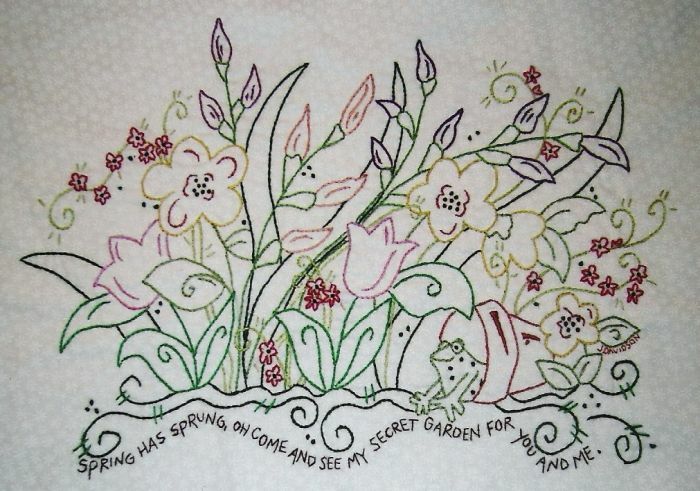 You can stitch your very own secret garden. 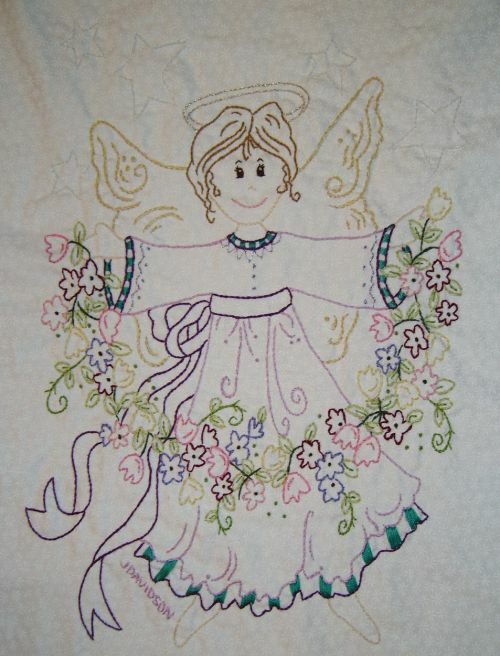 Enjoy the colors while sewing this fun & easy pattern. 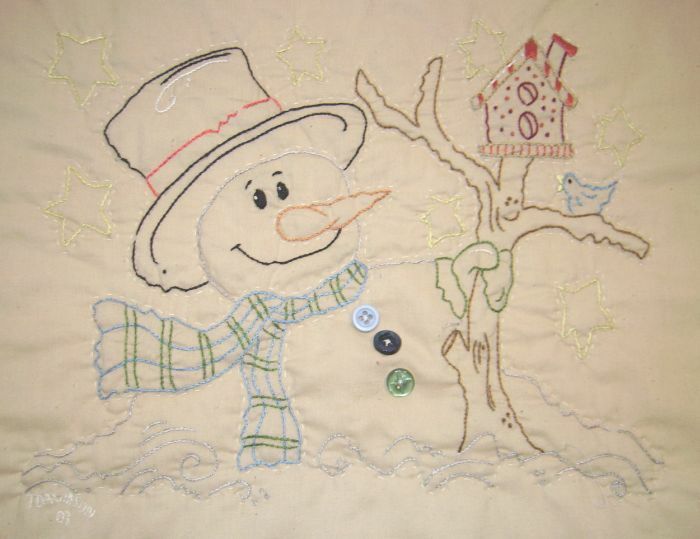 The birdies love this snowman's house. 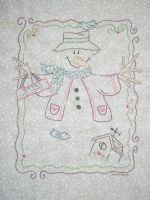 This quick and easy pattern can be combined with the Snow Woman. 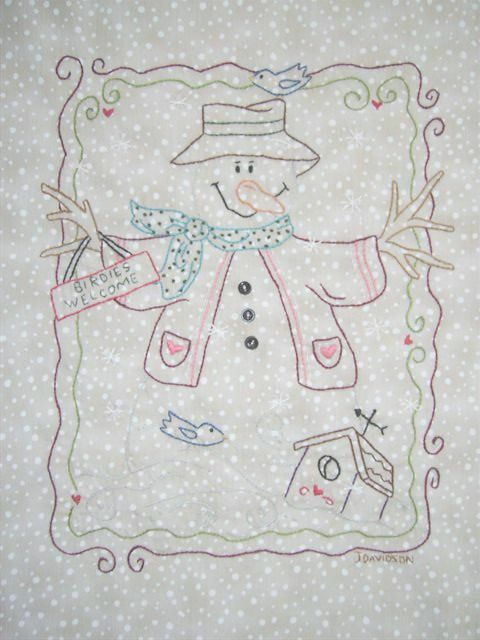 Every snowman needs a snow woman! This one is so cute with her bouquet of poinsettias. 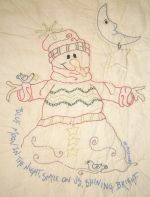 You can combine this pattern with the Snow House pattern for a larger quilt. Everybody loves Frosty! 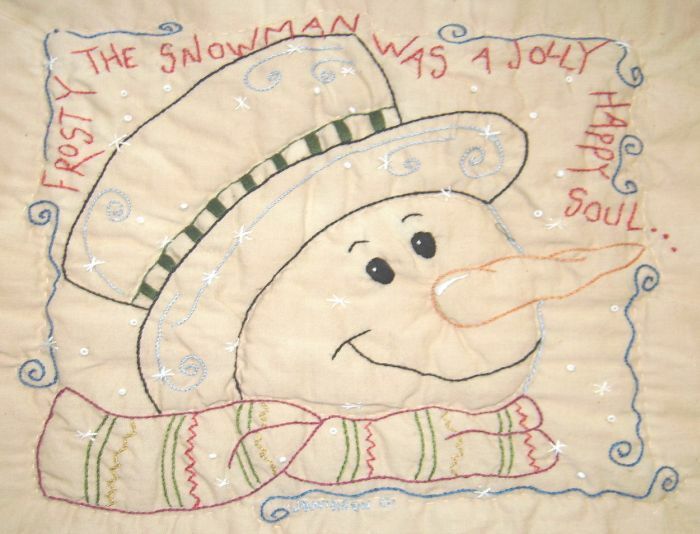 After all, "Frosty the Snowman, was a jolly, happy soul..." Have fun with this quick and easy pattern that has been popular with all. 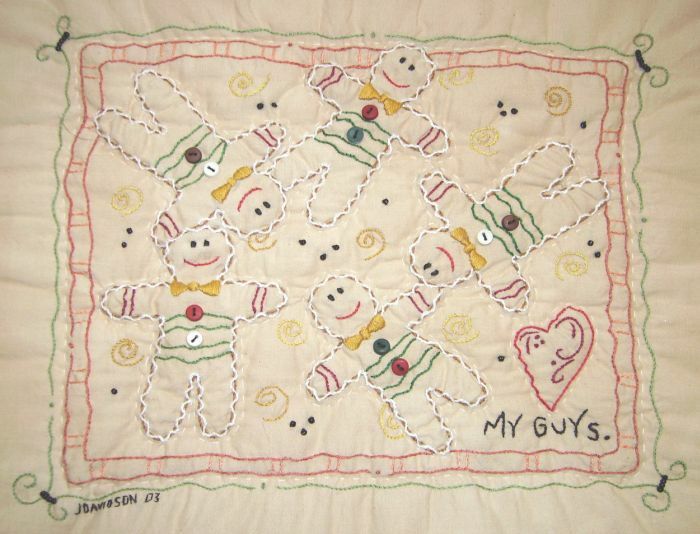 These sweet little gingerbread boys will capture your heart. 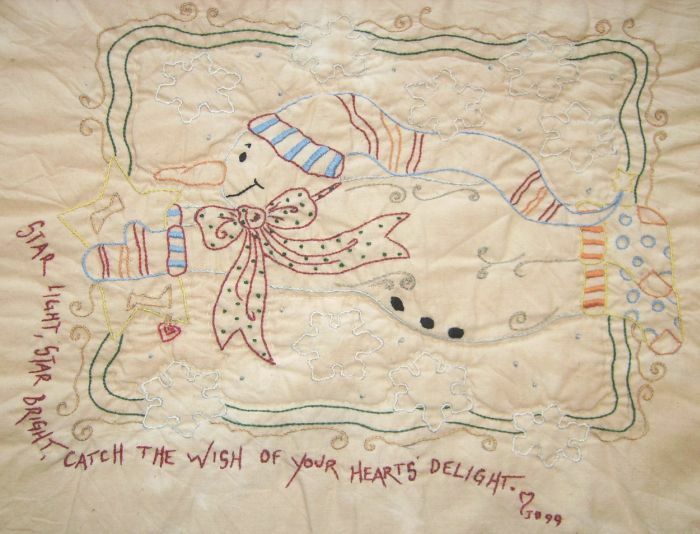 This is a fun and easy pattern to stitch and enjoy! Here birdie, birdie! This snowman is ready for some winter friends to stay for a visit. 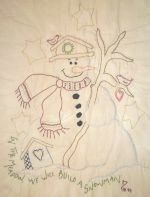 You will enjoy stitching this fun and easy snowman pattern. Blue moon in the night, smile on us, shining bright. 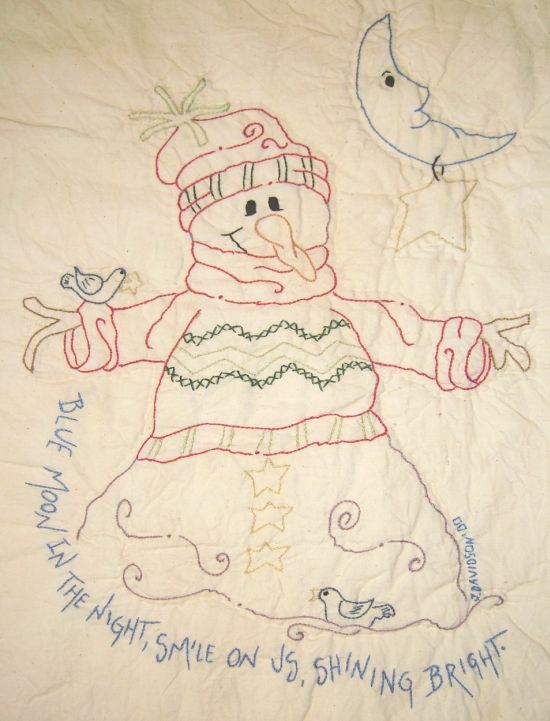 This snowman has his sweater on for a cold moonlit night. You will enjoy your evenings stitching him. This sweet angel is showing off her beautiful garland of spring flowers. 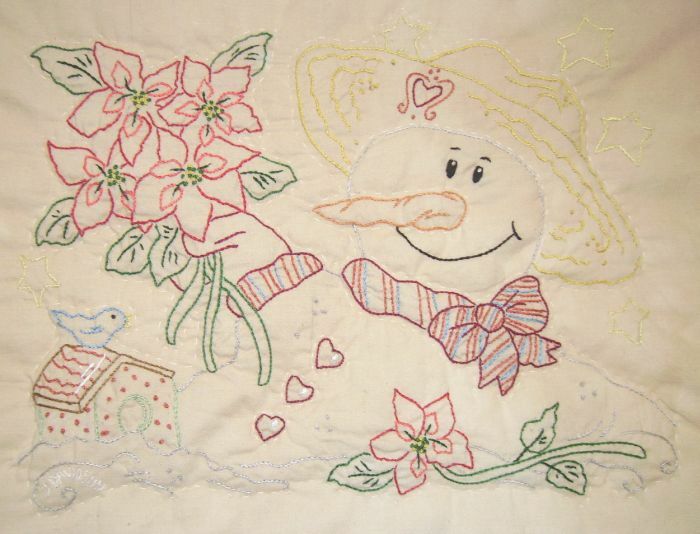 You will have fun stitching this colorful pattern. In the meadow, we will build a snowman. This reminds me of building snowmen as a kid. 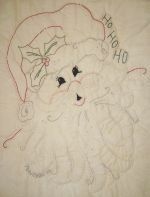 This was the first of my fun and easy patterns. 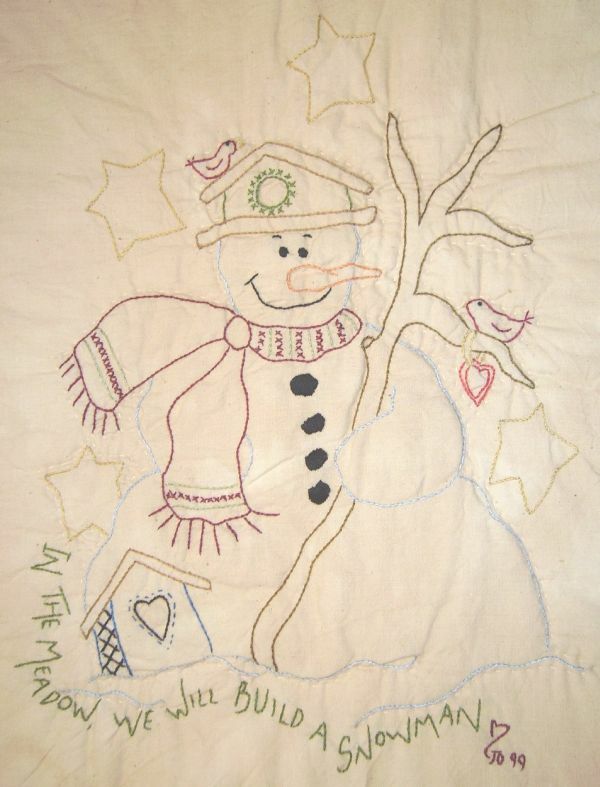 Snowmen melt your heart! 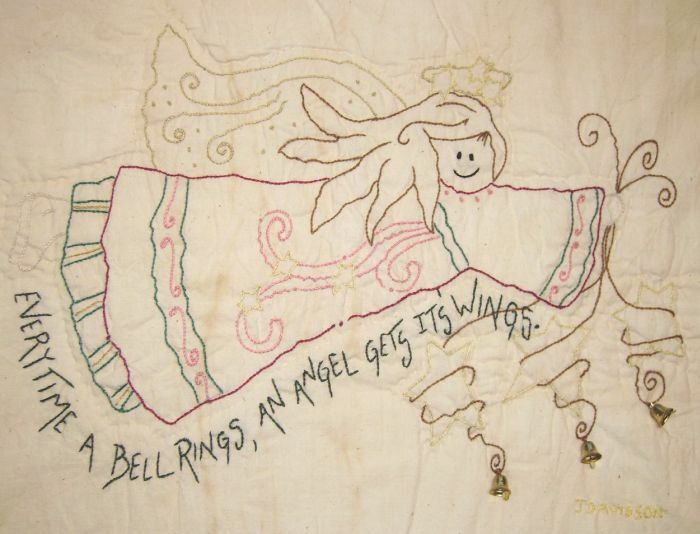 Add a pink border and some ribbons to make this into a cute little quilt.